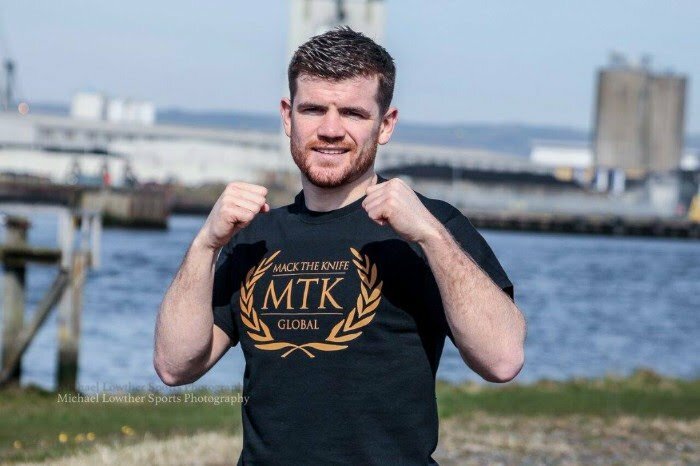 Paddy Gallagher insists he will be fully focused when he takes to the ring this weekend in his first bout since a distressing win over Gary Murray last month. Belfast welterweight Gallagher (12-3, 8KO) features on Friday night’s ‘Danger at the Devenish 2’ fight bill in his hometown, which is topped by Tyrone McCullagh’s super-bantamweight clash against undefeated German Tom Tran. Gallagher is coming off the back of a tragic Celtic title win over Scotland’s Murray in Edinburgh eight weeks ago – a victory marred by the fact that the Scot was taken to hospital after the fight and placed in an induced coma. Thankfully, Murray was recently released from hospital with World Boxing News last week reporting that the 30-year-old is on the mend and undergoing rehabilitation. The pair had fought 10 tough rounds and Gallagher was understandably distressed by what happened to his opponent. But the 28-year-old is ready to return to the ring this weekend after recently chatting to Murray. “It’ll be good to get back in there,” said Gallagher. “With the whole thing about the fight with Gary and what happened to him, a lot of people have been asking me will it affect me fighting and am I okay. Friday’s six-round undercard bout against Hungarian Gergo Vari (21-20-1) at the Devenish Complex will be Gallagher’s third fight in the space of six months. And he hopes to end 2017 on a high following a busy period after linking up with MTK Global. “I’ve been very busy all year so I haven’t really stopped training, but I’ve been doing a bit of sparring for this one and just working off the last training camp for the Celtic title fight, so everything’s going well,” said ‘Pat-Man’. “It’s been brilliant to be busy, but I’m looking forward to getting this one out of the way and then take a few weeks off over Christmas and spend a bit of time with my family.